Heat a saucepan with oil. Then add onions, garlic, thyme and chilli pepper, sauté for about a minute. 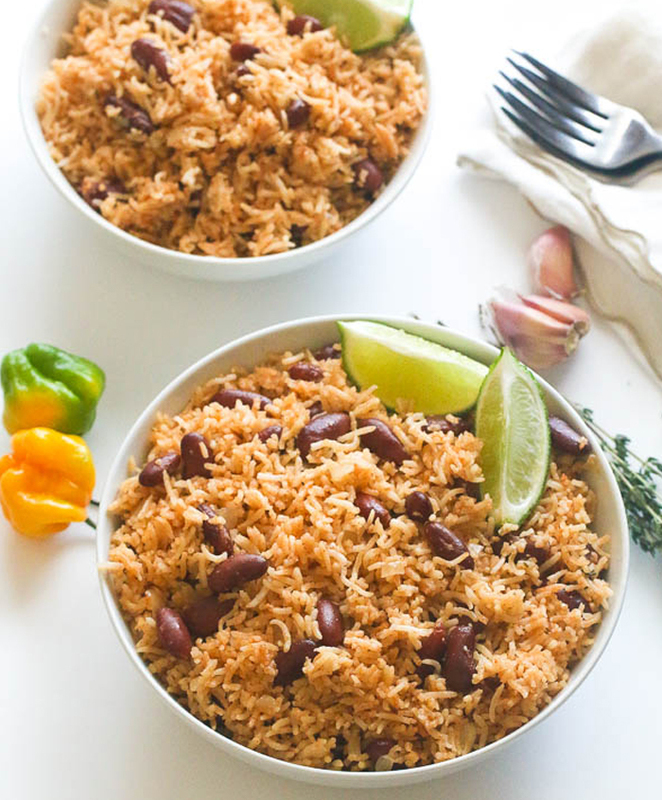 Stir in rice to the pan, followed by beans for about 2 minutes, then add coconut milk, bay leaves, creole spice and 3 cups of water. Bring to a boil and reduce heat, by slightly closing the SuperSaver air regulator. Cover with a lid and simmer until rice is cooked, about 20 minutes or more. Stir occasionally to prevent rice burning and add more water if needed. Adjust for salt and pepper and discard bay leaves. Serve warm to your family and enjoy!